Transforming the mining and lead metal processing industry is in our DNA. Throughout our more than 150-year history, an emphasis on mining innovation helped Doe Run outlast other mining companies in the region and revolutionized lead mining and production. From introducing the first electric shovel to pioneering hydrometallurgical technology for lead metal production, industry-changing innovations endure at Doe Run. Today, we envision, explore and implement the technologies of tomorrow, so that we can improve exploration, mining, mineral recovery, processing and recycling for future generations. Innovation begins with how we approach work. We explore the technical aspects of metal production and mining innovation through the use of equipment, software and advanced data analytics. But, these tools are only successful if our culture inspires and promotes invention. 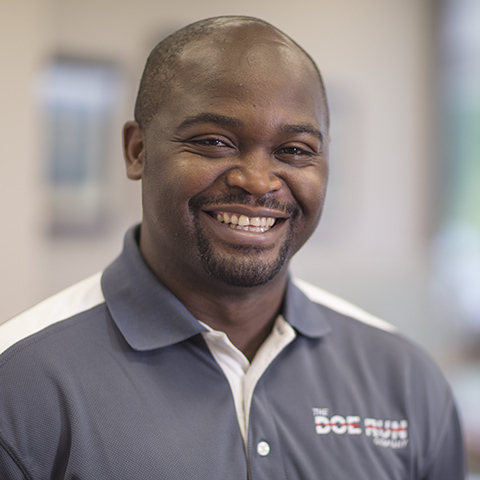 We encourage innovation through problem-solving and cross-company teams. We then share innovation at national and international conferences, in white papers, and in patents to advance our industry as a whole. How do we extract more value from finite natural resources? How can we do so and improve efficiency and environmental performance? These questions are the foundation to our success. For instance, our patented hydrometallurgical process uses fluboric acid to convert primary lead concentrates into lead metal with nearly zero emissions, making it a more environmentally safe alternative to high temperature smelting. Based on this research, our scientists and engineers developed a process utilizing chloride that provides for recovery of other valuable metals from recycled lead battery paste. These innovative hydrometallurgy and complementary processes can revolutionize the industry with the significant reduction in environmental impact. Another way we approach metal and mining innovation is through early adoption of new technologies. Whether it is new software and big data analytics capabilities that drive efficiencies or installation of hardware and equipment, we continuously search for better ways to accomplish our goals. In 2018, Doe Run’s Casteel Mine becomes the first U.S. mining operation to install the Rail-Veyor continuous light rail hauling system. The Rail-Veyor runs entirely on electricity to replace the dozens of diesel haul trucks that typically transport crushed ore in mines, improving safety and air quality underground. 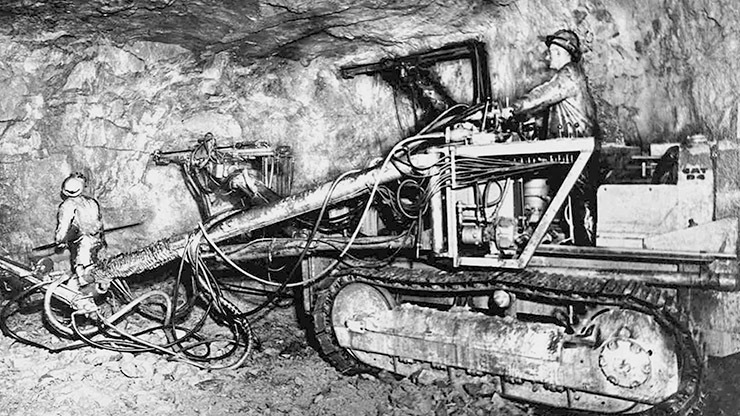 Invented by our engineers, the electric shovel transformed the mining industry. Replacing the hand shovel, the St. Joe Shovel improved employee load from 21 tons of rock per day to 300 tons a day. In 1927, the company introduced the roof bolt. 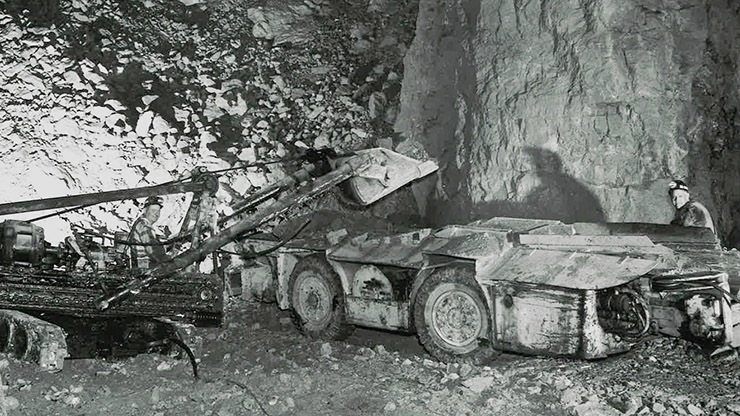 A major safety innovation in underground mining, it held the roof (also known as the back) of the mine safely in place. Roof bolts had an anchor that locked it into solid rock, and a cover plate to secure the rock around the bolt. 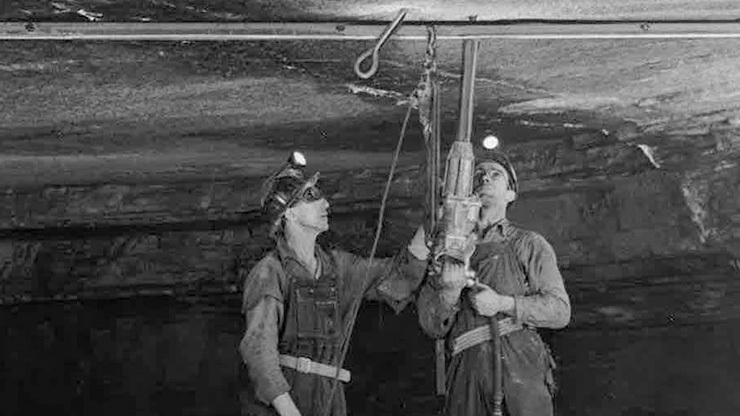 Early jumbo drills designed by company engineers in the 1950s drilled four times faster than jackleg drills, increasing efficiency in the mines. Our hydrometallurgical process for lead, developed by Doe Run and its technology partner Engitec Technologies S.p.a. and announced in 2010, has the potential to dramatically change the way lead metal is produced. 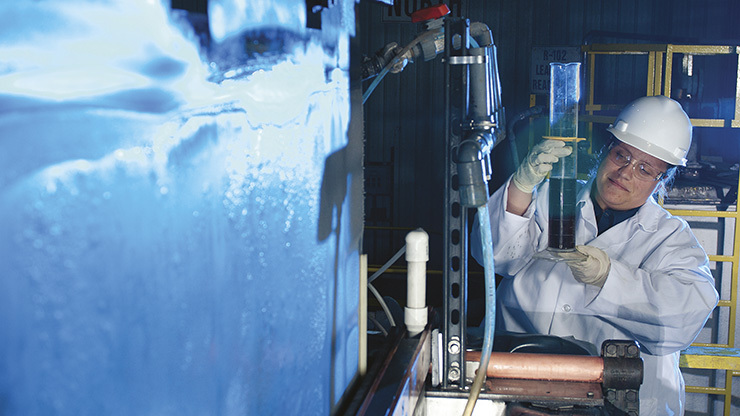 Today, we are refining commercialization and conducting further research on our patented chloride leaching process, which complements a hydrometallurgical process for lead. Doe Run’s minerals and metals primarily support the lead battery industry – the most recycled consumer product in the U.S. Lead batteries provide 75 percent of the world’s rechargeable battery capacity. They also store and optimize energy from renewable energy sources, like wind and solar, providing the potential for remote electricity to nearly 25 percent of the population in developing countries that have no reliable source. Recent battery innovations include advanced, rechargeable lead batteries for hybrid vehicles and reliable and affordable energy storage for renewable energy solutions needed for earth’s growing population. Power facilities use lead batteries to store excess energy for use when the sun goes down or the wind stops blowing. By 2020, half of all new vehicles made in the U.S. will use start-stop technology powered by lead batteries, by stopping a car engine instead of idling when it’s on. Each year, this technology eliminates 2 million tons of vehicle greenhouse gas emissions in the U.S. In 2012, the Advanced Lead-Acid Battery Consortium (ALABC), of which Doe Run is a founding member, debuted the LC Super Hybrid concept car. Including a carbon-enhanced lead battery, the concept car’s performance-enhancing features means it can meet increasingly strict fuel efficiency and emissions standards. Lead batteries go beyond the needs of today to bring innovative solutions for the future.